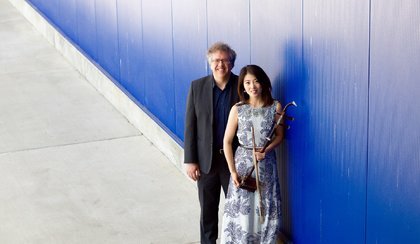 Erhu player Nicole Ge Li and pianist Corey Hamm are the masterminds behind PEP (Piano and Erhu Project). 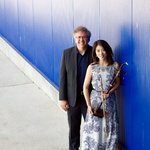 The erhu is a 1,000-year-old bowed, two-string Chinese instrument, and the marriage of erhu and piano is profoundly agreeable: Li and Hamm’s music is lithe, transportive, even funky. Li and Hamm boast impressive performance pedigrees. Li is concertmaster of the British Columbia Chinese Orchestra, and has performed for Canadian Prime Minister Stephen Harper. Hamm is a founding member of the Hammerhead Consort, and his disc of Rzewski’s ‘The People United Will Never Be Defeated!’ was selected as Spotify’s Best Classical Recording 2014. In their five-year history PEP have commissioned over 60 works and released two albums. (They have two more forthcoming.) PEP have concertised worldwide and have an upcoming tour planned in Asia. Five years in, their pairing of two iconic Eastern and Western instruments has proven an unqualified success.